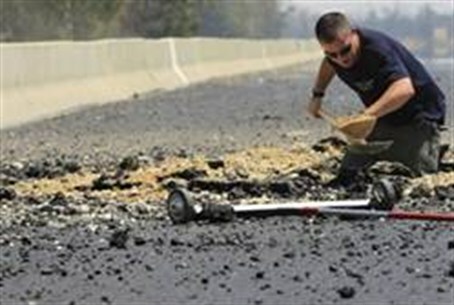 Palestinian Authority terrorists resumed firing rocket attacks on southern Israel Sunday afternoon. Three short-range Qassam rockets were launched at the Eshkol Regional Council district area by Gaza terrorists at about 4:30 p.m.
One of the missiles exploded in a residential area, according to the IDF Spokesperson's Unit, but residents of the area had managed to reach their bomb shelters in time. No one was physically injured, authorities said, although residents with post-traumatic stress disorder (PTSD) had symptoms triggered by the attack. There were no reports on property damage. The window of safety in which to reach shelter in that area is approximately 15 seconds from the time the Color Red incoming rocket alert system is activated, until the point of impact.